English porcelain maker, the Worcester factory, was founded in 1751. The factory gained its first Royal Warrant from George III in 1788 and became known as Royal Worcester in 1862. Its forms and decorations were often inspired by Oriental porcelain and the work of competing British and European porcelain factories. Notable names include the modeller James Hadley, sculptor Charles Toft and the Stinton family of decorators. The early 20th century saw the company suffer as sales fell and it was declared bankrupt in 1930. It was saved by C W Dyson Perrins and led by Joseph Grimson entered another 'golden age'. New freelance modellers were introduced and the product range was refreshed and expanded. Today, Royal Worcester sells many figurines designed during this period by names such as Doris Lindon famed for her horses. However, its traditional styling means many Royal Worcester ceramics are out-of-fashion making it affordable for collectors. 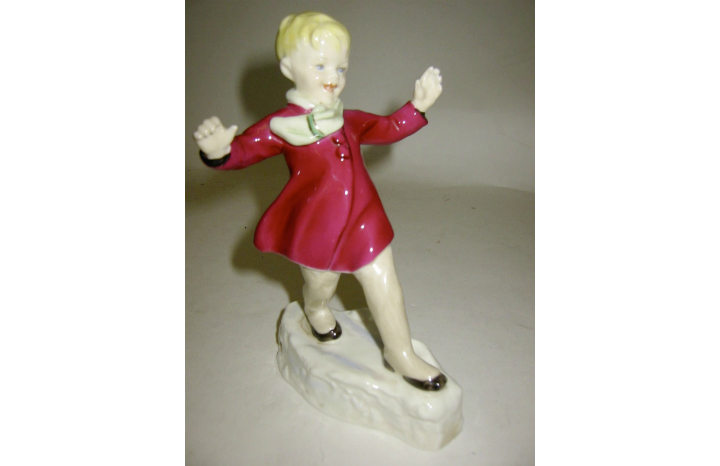 This 1950-85 'January' figurine (15cm high) from the 'Months of the Year' series is valued at £50-70. The very rarest and most desirable objects still command a premium. What to value an item? Register free with Miller's Antiques and Collectables here.